After the demise of the VCSE t shirt store last year it was probably about time we had something to sell again (and here it is). 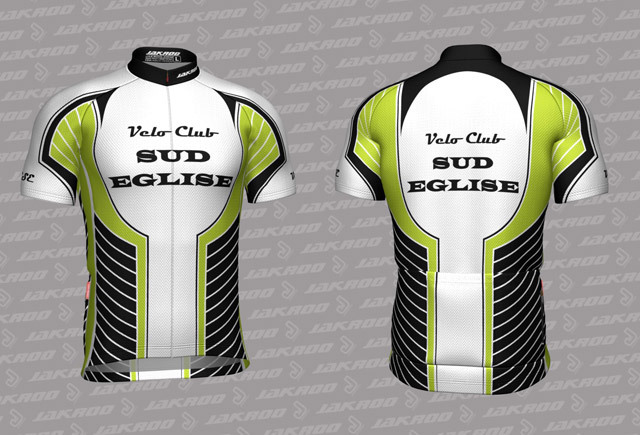 VCSE has teamed up with West Coast (that’s USA rather than Virgin Trains) design company Jakroo to launch our first cycling jersey. It’s a bit of homage / tribute / rip-off (delete as applicable) to the HTC kit of yesteryear and has a (hopefully) classic design in black and white with (so on trend) flouro yellow accents. There should be more products to follow in the new year and at the very least we’re hoping to add a winter jacket and two types of bibs. Individual orders can be done with Jakroo directly in the US but there are significant savings to be made by ordering in bulk so please check in with us first and I will advise on pricing. There’s more info via the link on the right hand side of the page (if you’re reading this on a laptop) or scroll to the bottom of the post if you’re on a tablet or mobile. There’s a (new) dedicated page ‘VCSE store’ at the top of the page (or via the menu on mobile devices) that has all of the links and info you need. Next Next post: Back to ’09.. just don’t mention doping!